Last leaf report for the year! 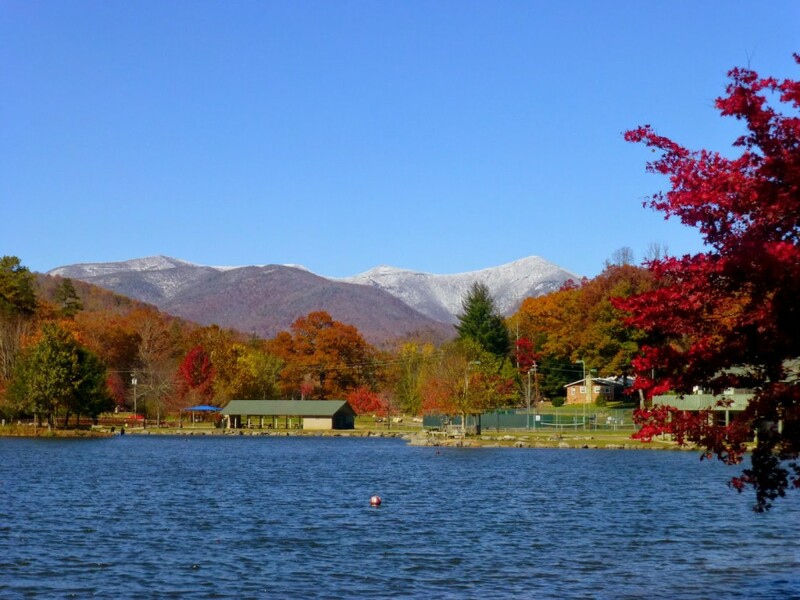 This looks to be our sixth and final fall color report for 2014 for the North Carolina mountains around Asheville and Pisgah National Forest. We really are spoiled with at least six weeks of fall color within a 30 minute radius of the Inn on Mill Creek B&B. 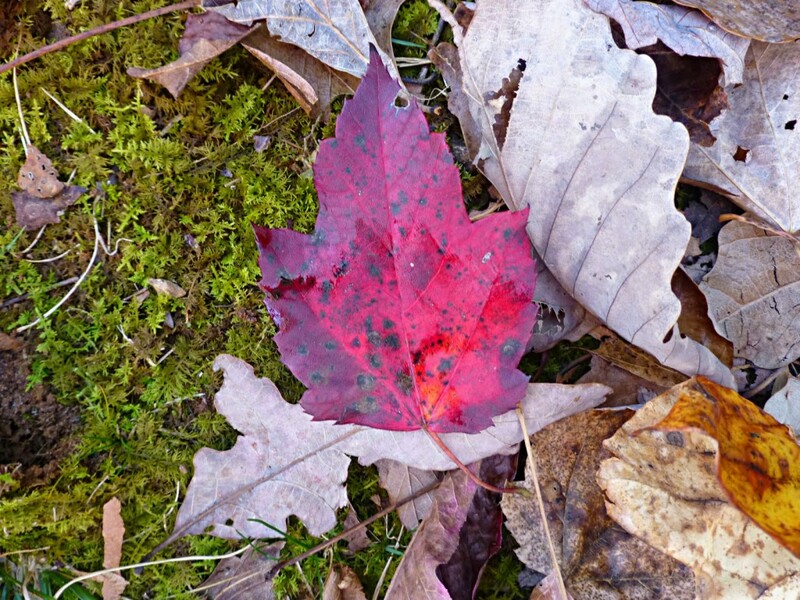 The oak trees are providing much of the reds and oranges now, with some that are still green! Maples, sassafras and beech trees continue to be part of this year’s fall color palette as well, and even though many are now dropping their leaves, the ones that are still on the trees offer up a really nice pop of color here and there. Even the sourwoods, which started changing several weeks ago, are still holding their color, for now. We saw a really beautiful sight on November 2…snow on the Blue Ridge Parkway while there was still color at our elevation, making for an interesting fall-meets-winter landscape! The following photo was taken about 15 minutes from the Inn, in Black Mountain, NC. The snowy peaks make up the Craggy Gardens section of the Blue Ridge Parkway. Now as much as we are enjoying the last bits of fall foliage, we are steadily moving past peak at our elevation (2,300 feet) and the evergreen rhododendron are taking over as the primary color in North Carolina’s Pisgah National Forest surrounding the Inn on Mill Creek B&B. Biltmore Estate: It’s always a late fall color show at Biltmore Estate in Asheville, and they have a really nice variety of shrubs and trees at Biltmore to enjoy. And combined with the beginning of their Christmas at Biltmore celebration, you get two seasons for the price of one! Also two days worth of Biltmore for the price of one when you buy discounted tickets through the Inn on Mill Creek B&B as our guest. Chimney Rock State Park: Located approximately 30 minutes south of the Inn on Mill Creek B&B via scenic Route 9, Chimney Rock State Park also has late fall color in Hickory Nut Gorge. This is a great time to take the trail to the bottom of Hickory Nut Falls, a 400-foot waterfall that drops straight down sheer granite rock. Take the Outcroppings Trail that includes the stairway to the top of the Chimney for a nice work-out and be rewarded with a grand view of Lake Lure and Hickory Nut Gorge. 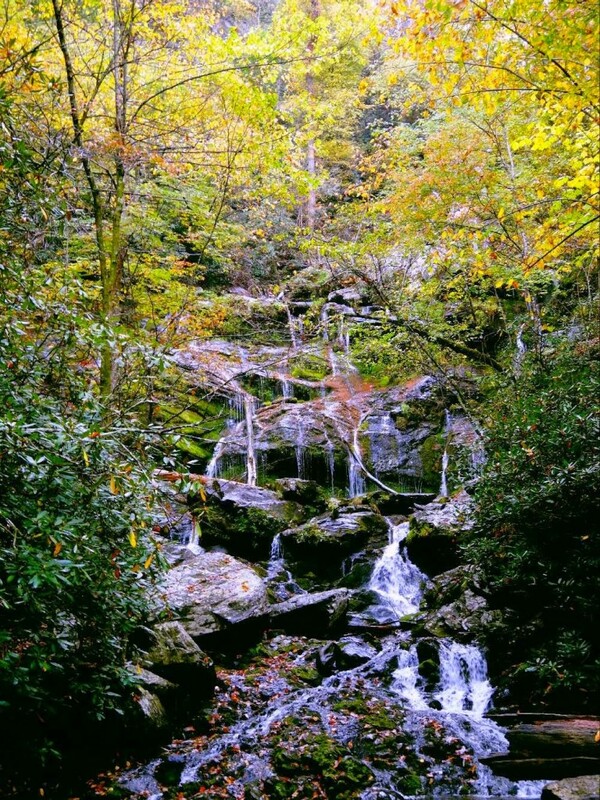 Catawba Falls: A picturesque waterfall located inside Pisgah National Forest in Old Fort, Catawba Falls can be quite popular in October, so avoid the crowds and go in early November, when you’ll be able to view late fall color without a hundred other people on the trail. 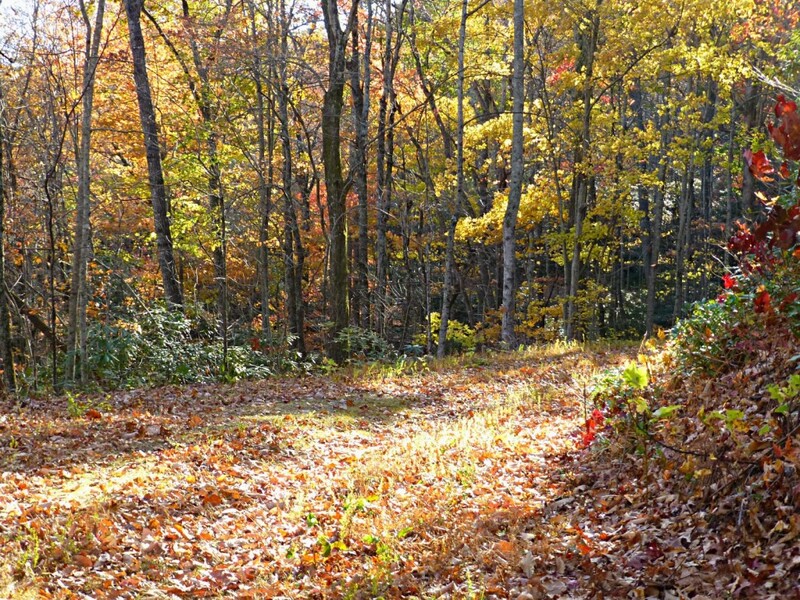 The trailhead for Catawba Falls is about 20 minutes from the Inn on Mill Creek B&B.